Zen for Men by Shiseido is fragrance for men. Spicy, masculine, – woody fragrance, it is embell..
Zen Eau de Parfum by Shiseido is fragrance for women. This summer fragrance r..
Zen Eau de Parfum by Shiseido is fragrance for women. 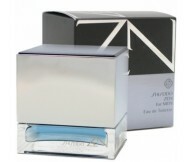 This summer fragrance reflects the essence ..
Zen Eau de Parfum by Shiseido is fragrance for women. 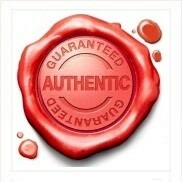 This summer fragrance reflects the esse..
Zen for Men by Shiseido is fragrance for men. 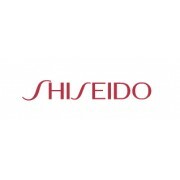 Spicy, masculine, – woody fragrance, it is em..
Shisseido is a Japanese cosmetics and hair-care company founded in 1872. Although the company is Japanese, its name is derived from a passage in the classic Chinese text I Ching. A translation of the name reads, "Praise the virtues of the great Earth, which nurtures new life and brings forth new values." Arinobu Fukuhara, a former Head Pharmacist for the Japanese Navy, founded Apothecary Shiseido in 1872. After a visit to the United States, he added a soda fountain to the pharmacy. This was the beginning of the "East meets West" concept which would serve the future cosmetics giant so well. Designer Shiseido has 37 perfumes in our fragrance base. The earliest edition was created in 1964 and the newest is from 2014. Shiseido fragrances were made in collaboration with perfumers Jean-Louis Sieuzac, Dominique Preyssas, Claudette Belnavis, Pierre Bourdon, Christopher Sheldrake, Jacques Cavallier, Michel Almairac, Francoise Caron and Nathalie Lorson.